This can be done when adding a page or while editing a page. When adding/editing a page, look for the “Menu options” on the right section of the page. 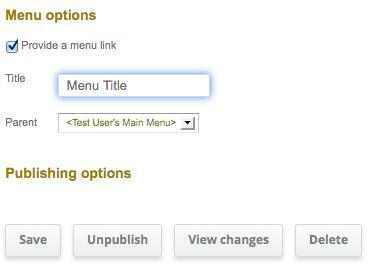 Make sure the “Provide a menu link” is checked and type in the Title that you want to show on the menu tab. Select Save to update the menu tab.